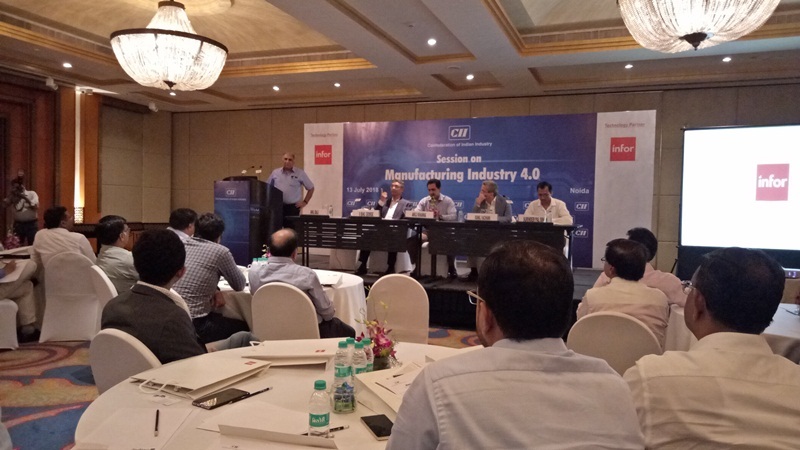 Mr. Anil Bali, Vice President, Deki delivered a lecture at a session on Manufacturing Industry 4.0 organised by CII at Radisson Blu Hotel, Noida on 13 July 2018. Mr. Bali spoke about the implementation of Industry 4.0 concept at Deki. His talk covered the measurement of capacitor dimensions through cameras including initial steps of Deki on visual inspection through cameras and calculating Overall Equipment Effectiveness through IOT. Deki’s HR head Mr Rajesh Maurya and Manufacturing Head Mr Amit Verma were available during the session to elaborate on specific aspects of Deki's Industry 4.0 experiences.